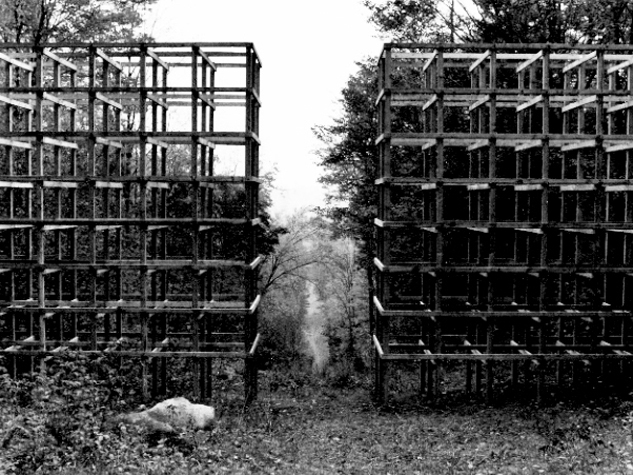 Commissioned as part of the 1980 Winter Olympics, Veiled Landscape is a series of structures which act primarily as an introduction to the landscape. 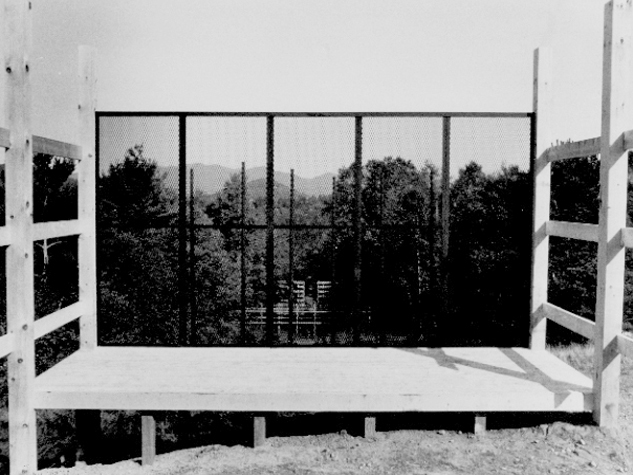 The initial flat image of the framed view is broken down and the depth of space is made visceral as one moves from one layer of the work and the site to the next. Having been kept at a distance from the landscape, out of reach, visitors finally enter the woods becoming part of it by moving through it. The site is a wooded hillside adjacent to a road; a V shaped clearing at the top of the hill is connected to a half-mile long straight cut through the trees along which a water line has been laid. A viewing platform at the top edge of this decline seems to deliver a complete package for the reluctant visitor: a framed postcard-like view of the Adirondack mountain landscape in the distance. It is as though a piece of the view has been cut out, given an edge – framed, focused, filtered and delivered. Upon reaching the screen however, this first view from the platform is obscured by wire mesh. It is necessary to go further into the landscape and the work to be able to see it. 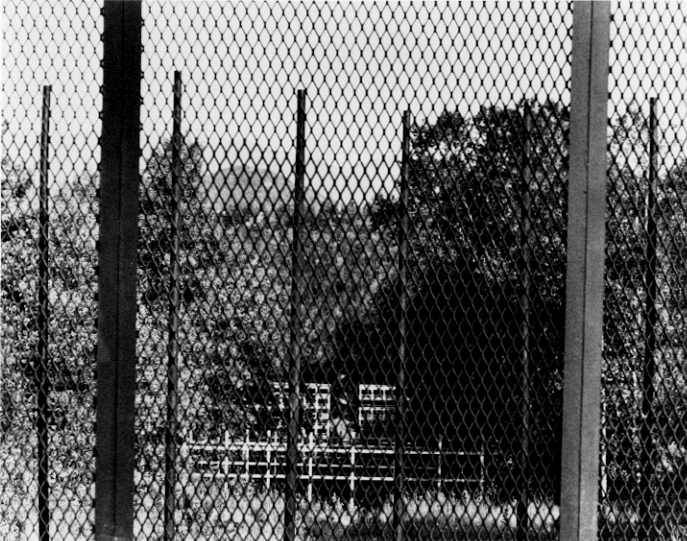 Continuing to walk down the hillside, the view is blocked by a curtain of posts that place the landscape beyond ‘behind bars.’ Proceeding down, the viewer encounters further visual and physical barriers. Finally, s/he arrives at the gateway which had appeared small from the platform but which is twenty feet high and sixty feet wide. The cut through the woods continues into the landscape to connect with the distant view. This was intended as a temporary project and was to remain in place for one year. It was vandalized and removed one month after the end of the Olympic Games, raising questions about the relationship of any artwork to its social as well as physical context.